CNN speaks with Fareed about the decision of Ayatollah Ali Khamenei to authorize Iran’s military to cooperate with Iraq and the Kurds and the United States to try to defeat ISIS. This is an edited version of the transcript. When you hear that the ayatollah is saying this now, how significant is this? That's the most significant of all of this, that the ayatollah – the supreme leader of Iran – would say it. It suggests a couple things. One, that they are very worried about ISIS. Two, that their attitudes towards the United States are softening. Perhaps most importantly, Iran is very pragmatic. It's very practical. We always think of them as these kind of mystical revolutionaries because they wear turbans and have big beards. But the funny thing is this foreign policy of the Iranian regime has been very, very pragmatic. Their goal is to defend Iran, its interests, they'll ally with whom they need to. They'll oppose whomever they need to. In Afghanistan, people forget, right after 9/11 when we toppled the Taliban, Iran cooperated with the United States. Here again, what they're saying is, look, we have the same interests and the same common enemy. We'll work with you guys. In an odd way, we have more trouble than the Iranians do. People working together – it's interesting you bring up 9/11. We've all read your piece in the Washington Post, on why they still hate us 13 years later and on what you wrote then and your observations in the 13 years since. What is your biggest take-away? My biggest take-away, the biggest mistake I made or the thing I didn't see, was these countries are really fragile. So you talk about bringing democracy or getting rid of a bad guy. And you get rid of the dictator – Libya, Egypt, Syria, Iraq. But what ends up being true, there’s nothing beneath it. Those guys have made sure in a sense there’s no civil society. In some cases, there isn’t even a nation. What we're seeing in places like Iraq, like Syria, like Libya, when the order goes away, people don't think of themselves anymore as Libyans or Iraqis. They think of themselves as Sunnis, as Shia. They reach back for an older identity, not the national identity. And remember, many of these countries were created only 100 years ago, by the British and French. So I think that I didn't recognize just how fragile these places were. And, of course, we're living with that reality. If you look at what's happened and why ISIS has risen, it's mainly because there was a power vacuum. There was chaos. There were these badlands, and into these badlands stepped ISIS. But what seems so different with ISIS, you have all these other terrorist organizations, but with this case specifically, a lot of people seem to demonize the enemy. ISIS itself is saying, yes, we are evil. It's like they're self-demonizing. So just what do you think of that observation, A. And B, given that, how do you see this heading, their group? It's a very important point – how do you want to deal with somebody like that? I do worry that we are playing into their game. Osama bin Laden said something in one of his old videotapes. He said, you know, our strategy has to be we wave the flag of jihad and call it al Qaeda anywhere in the world, and that will get the American generals to come running to fight us. In other words, a lot of this is bait. Bring it on, they're saying. I hate to say this. But the gruesome execution videos, all of this stuff is designed to first of all make them important. 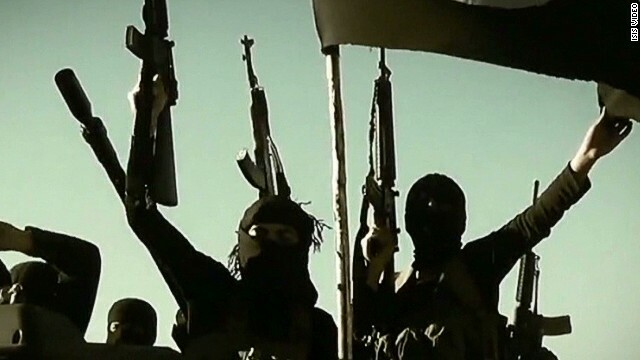 Now everybody is talking about ISIS – they’ve become huge figures. But also to goad us into a fight. To get us in a situation where we go into Syria and we go into Iraq, we get trapped. And I think we've got to be careful. Of course, you have to respond. But let's make sure that the United States does this in a manner of its choosing at a time of its choosing, when the United States has the proper intelligence and capacity. Just the fact that they keep saying, come on, come on, let's have a fight doesn't mean we have to agree to that.